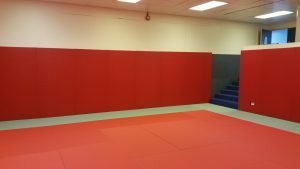 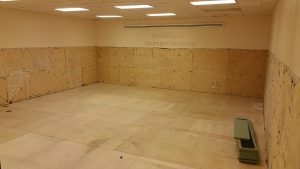 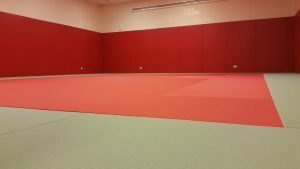 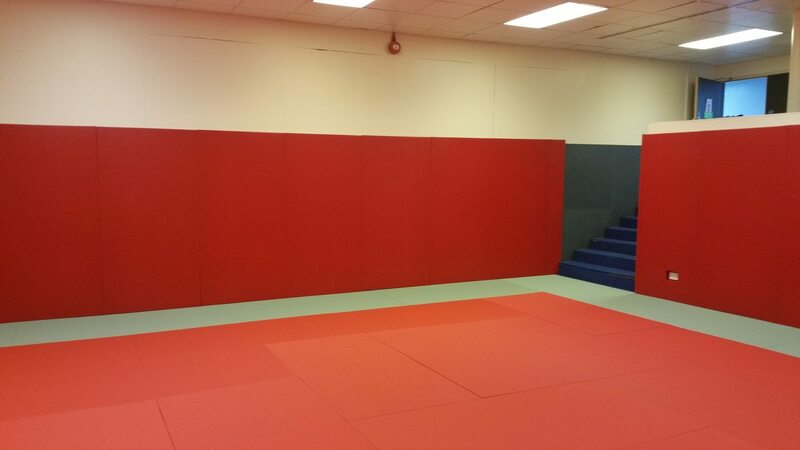 The University of Southampton approached us to completely refurbish their DOJO at the Jubilee Centre. 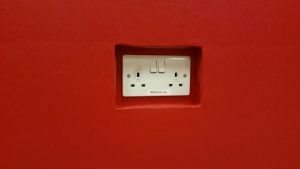 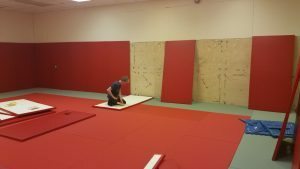 This was no small task as there was close to 100 square meters floor space and almost 40 linear meters of wall padding needed. 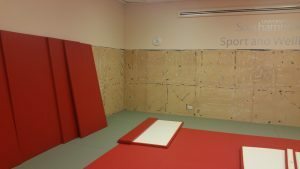 As the walls had some tricky parts to maneuver and cut around, and also an irregular overall floor space, we went down to Southampton to carry out a full site visit. This was necessary as there were almost as many custom wall pads as there were standard size ones! 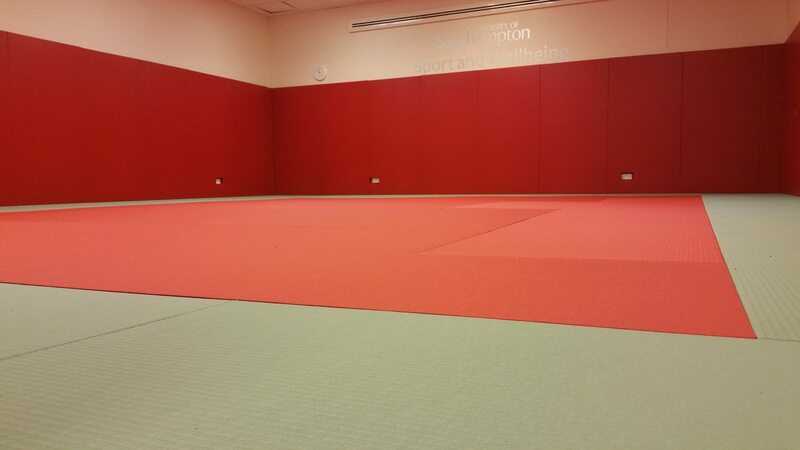 With the site visit done and drawings made, it was time to decide on which mat and pad to go for. We sent out a lot of samples to offer the widest choice possible. 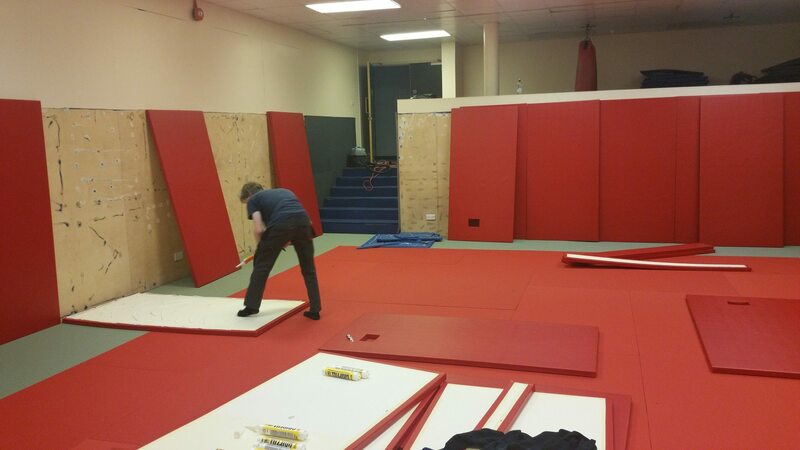 The decision was Judo Mats for the floor (in red and green) and 40mm adhesive fixing wall pads in red. Once manufactured we sent our installer down to Southampton to carry out the installation over 2 days. 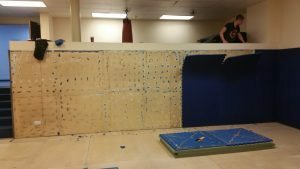 The existing floor mats and wall pads needed to be removed first then the new ones were put into place. 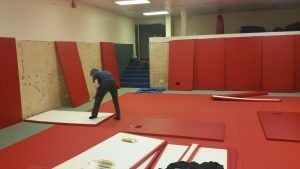 As you will see from the time lapse photos below the results were amazing! 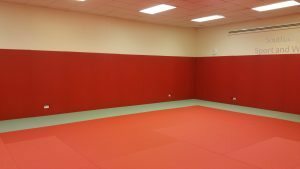 If you are looking to build a new or refurbish an existing DOJO then please do not hesitate to contact us to find out more.